The news of this star’s change to a nova about two weeks ago has highlighted the frustrations of Cumbria-based amateur astrophotography. Work commitments, late evening sunsets, early evening moonrises, waxing gibbous / full / waning gibbous moon phases and Cumbria’s generally cloudy night time conditions have combined on this occasion to make this discovery more “internet” than “actual” for me. 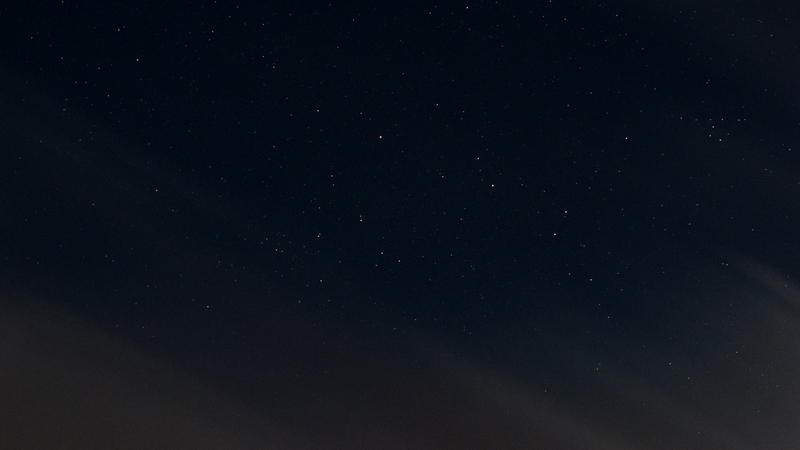 This crop from a wide angle shot taken from Shap on a “clear” night illustrates the vagaries of Cumbrian weather forecasting. I stayed for another hour after this, waiting for the clouds to pass by, but they just got thicker and thicker. 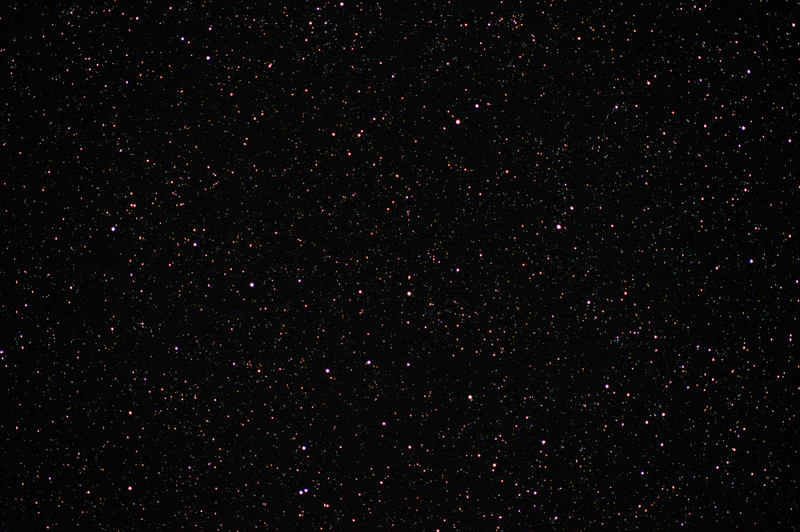 Nova Delphini 2013 is there, in the top left of the frame, but it was a hurried single-frame capture. Last night, 25th August, promised clear skies and a sunset about 90 minutes before moonrise. Off to Helsington Church, set up to catch a view to the south in the gap between sunset in the north west and moonrise in the east. As the light faded, I was joined by a family who had come to look for shooting stars, so we swapped tales of stargazing as the darkness fell. I think at least one of them has decided to come and try the Eddington Astronomical Society meetings (if you don’t already know, they are on the first Monday of the month, 7-9pm at Kendal Museum, all welcome)! 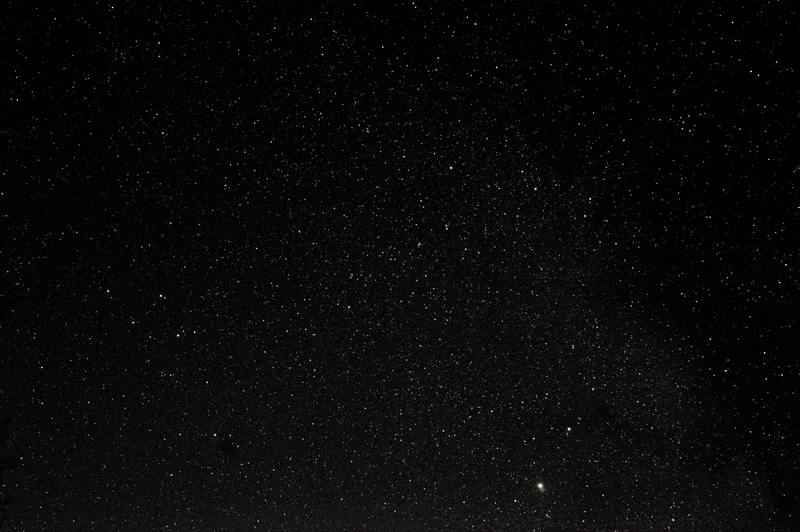 50mm f/5.6, ISO 1600 2 min. 4 frames of 30 sec, stacked in DSS. Once the background light had faded, conditions were pretty good. The air felt humid, but the sky was clear. 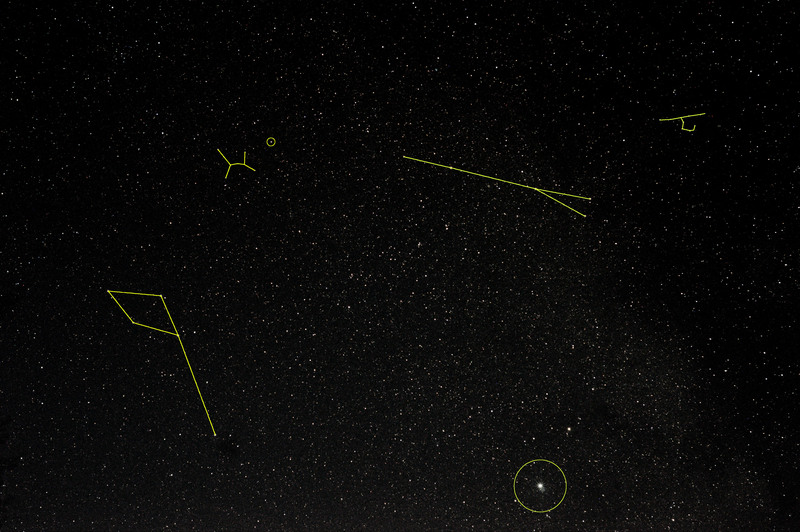 Clockwise from the bottom, Altair, Delphinus the Dolphin, “the wonky H”, Nova Delphini 2013, Sagitta the Arrow, Brocchi’s Cluster – the “Coathanger” asterism. Again, without the lines. Photoshop has been used to take out some of the background glow. The sky never became fully dark as the Moon rose when the Sun was only about 12 degrees below the north-western horizon. 300mm f/5.6, ISO 1600 6 min. 6 frames of 60 sec, stacked in DSS. The contrast and the magnification are increased with a 300mm lens. So I caught Nova Delphini 2013 at last, although it is now below its peak magnitude of about 4. Invisible to the naked eye last night (probably due to the never-quite-dark sky), in binoculars I estimated it at about Mag 5.5 – 6.0. 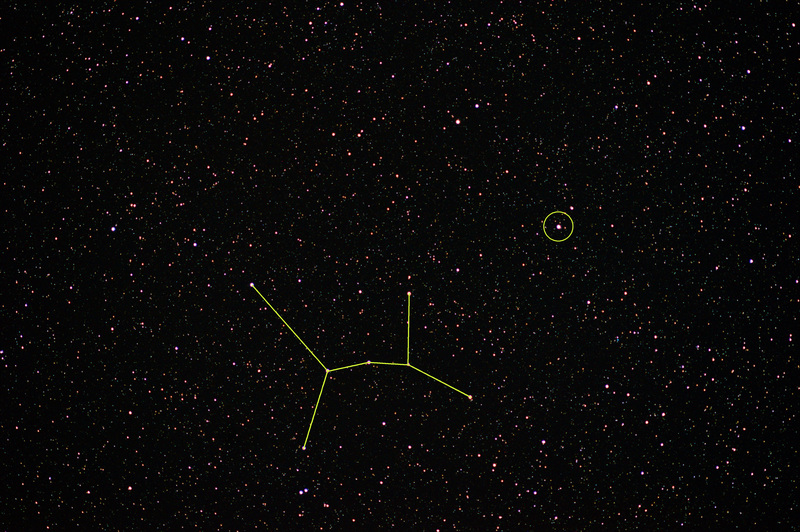 The “wonky H” asterism is made up of stars that are all below Mag 6.